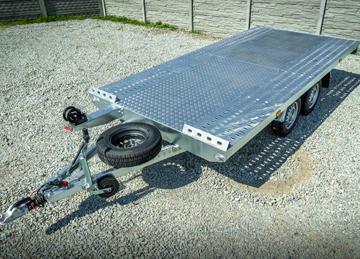 Welcome to the "AUTOX" PHU website – our many years of experience allows us to make a trailer with individual specifications adjusted to each customer. 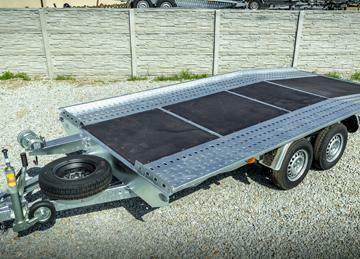 If, in our offer, you do not find a trailer that meets your requirements, please contact our company. 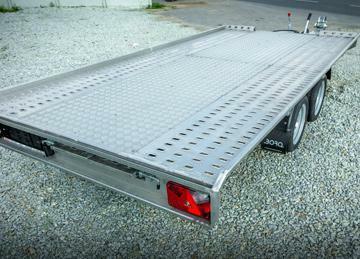 Universal trailer suitable for transporting cars, light commercial vehicles and various types of goods. Tow truck adapter for transporting 2 cars with raids made of 4 mm thick LOHR type aluminium sheet. 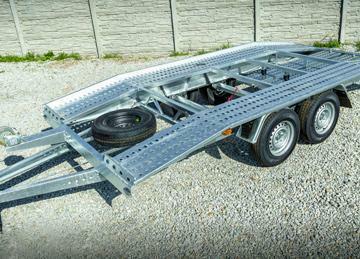 A trailer especially designed for transporting cars. The sloping front and back of the tow truck makes it possible to balance the centre of gravity of the car. The sloping rear part of the tow truck makes it easy to unload even the most damaged cars. Universal steel platform, very strong. 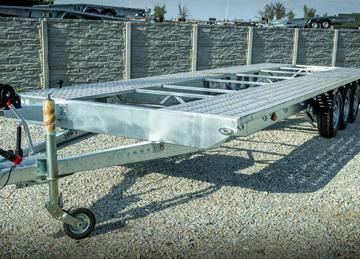 The design of the trailer allows you to hook the transported goods anywhere, which greatly facilitates transport. 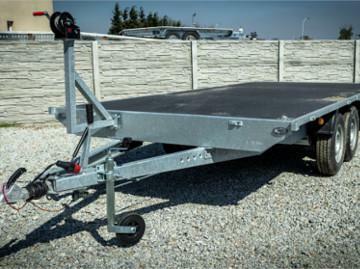 The platform is made of higher strength aluminium , with a high load capacity which is connected with the low weight of the trailer.